Hello, My name is Robert b.k.a as Coach Fox McGhee. I would like to take this time to welcome each of you first of all to our new website. I am pleased to serve as President of the Pine Mountain Youth Sports Association. 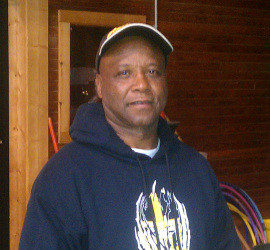 I have been involved in Pine Mountain youth sports for over 25 years. I have seen and experienced the highs and lows of our program. I am pleased to announce that after many years, we are doing better than we ever have. It is my vision and goal to continue to oversee the success of Pine Mountain youth sports. I would like to than k the other board memebers, parents, and city officials for supporting youth sports in Pine Mountain. All of us collectively will continue to drive our program to better heights. If at any time I can be of service to anyone please feel free to give me a call.